Savings. Why don’t I have any? What can I do to be a better saver? How much is enough? If you're asking yourself these questions, you aren't alone. Many Americans are struggling to save. In fact, the Federal Reserve found 4 out of 10 Americans wouldn’t be able to cover a $400 emergency expense without going further into debt. So let's jump into this critically important topic, which happens to be Lesson 2 of our Personal Finance 101 series. If you haven’t yet read Lesson 1, take a moment to go back and read it. Once Lesson 1 is under your belt, let's dive into Savings. Why don’t I have any savings? Well, if you're honest... life is why. Things came up, stuff happened, and quite frankly, life is expensive. But one of the primary reasons it's so hard to save is because we "want", or in some instances convince ourselves we "need" that money for expenses today. The worries, "wants", and "needs" of today seem so much greater than those of the future. At its core, it's really hard to save if you don't understand why you need to save. Savings is the backbone of financial stability. It's the first step to getting out of debt and it provides you with the freedom to make life decisions you simply can't make without having some money in the bank (more on that in future posts). The other reason saving money is difficult is because we don't make it a priority. Trying to save after you've paid the bills and all your other monthly expenses is not making savings a priority. It's an afterthought. Savings has to be a top priority, otherwise it gets lost. Saving should be prioritized over all your expenses (except maybe giving) and especially above debt repayment. At least to start. Now, let me be clear, don’t neglect your debt. Let me say that again. Don’t. Avoid. Your. Debt. Absolutely, make your minimum monthly payments. But ONLY the monthly minimums to start. Then take every excess dollar beyond your monthly living expenses and use it to build up a safety net of savings. How much is enough? If I told you right now, you might stop reading soooo… yeah. What can I do to be a better saver? First, you’ll need to figure out how much of your monthly spending you actually have control over. In other words, what portion of your expenses are bills that are more or less non-negotiable? Your mortgage/rent, utilities, car payment, insurance... You get the idea. Then look at the type of expenses you do have more control over such as eating out at restaurants, the type and amount of groceries you buy, fuel, clothing, hair/beauty, or any other personal spending you can think of. This is where you’ll want to become more efficient spenders. 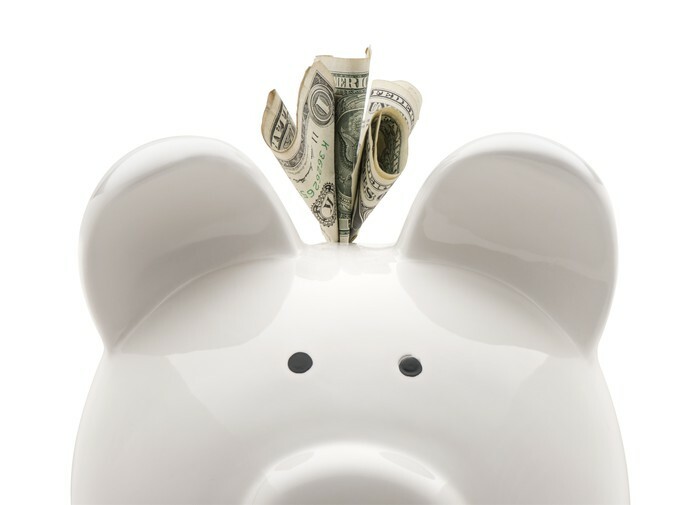 Here are a handful of great tips on how you can creatively cut costs in some of these areas to help boost your savings. Store brand savings: Did you know shopping for generic brand food items can save you anywhere from 25%-50% or more? Test it out every now and then to see if this is a tip that might work for you. Plan meals based on what’s in your pantry: Think of yourself as the star of your own food network channel. Can you be creative enough to use what you’ve already bought before you make another trip to the store? Break up your ordered meals: We’ve all been there. “It’s just too good to stop!” Then how do we feel when we’re finished? Yeah… kinda gross. Food portions in America have tripled over the last 20 years and yet the nutrition needed to properly energize our bodies hasn’t. Try eating only half of the next dish you order. Then take the other half to-go. Challenged delivered. Lunch instead of dinner: Did you know the same lunch entree served for dinner (or similar) is typically 50%+ more expensive? Try using this to your advantage when making meal plans with friends and family. BONUS: Replace one meal eating out with one eating in. Really, just one! Can you try it? You might just like it. Commute creatively: Ever considered carpooling? Splitting costs can really help lighten the financial load. How about road biking to work every once in a while? Even just once per month can save up to 5% in fuel. So consider ditching that stationary setup and go! Slow it down and stay aerodynamic: Did you know dropping from 70mph to 60mph can save you up to 10% in fuel? Wind resistance also plays a factor in fuel efficiency. Removing rooftop racks or cargo boxes and keeping your windows closed (sorry Fido) while driving can save as much as 20%! It’s not you, it’s me: Did you know 84% of people underestimate what they spend on monthly product and service subscriptions? Break-up with those financial sinkholes. Are you consistently using all of the services/products you subscribe to? Shop around: Companies fiercely compete for your business. Use it to your advantage and compare price quotes for those things you’re committed to keeping. So how much savings is enough? A recent Consumer Reports article reinforced common financial expert opinion, recommending saving anywhere from 3 to 6 months worth of living expenses to help weather financial storms. These can include big ticket item expenses like unexpected vehicle repairs, water heater/AC unit replacement or temporary unemployment. Reaching this final milestone is a pretty big deal. 3 to 6 months worth of living expenses is a big goal and it may take a long time to get there, so let's take a step back and start small. The first savings goal you’ll want to aim for is a balance of $400. From there, you can stretch your target to $1,000, and then one month worth of living expenses and so on. After reaching the $1,000 milestone you can begin to gradually shift your focus back to debt repayment as you continue building up your safety net of savings. If you download the Koach mobile app, available for Free on the App Store and Google Play Store, you can chat with a financial coach to help you find the right balance between savings and debt repayment. If you’re confused why you should save money into a 0.01% interest account before paying off a 24.99% APR credit card, we completely understand. It doesn't make sense. Except it does. You'll have to read Lesson 3 of this series on Debt to understand why. At the end of the day, learning how to save is the first step to being great with money. If it's difficult for you to make savings a priority, you don't have to do it alone. You can work with a financial coach to help you develop a custom strategy with tips and tricks on how to overcome some of the habits and behaviors that may have held you back in the past. Simply download the Koach app on the App Store and Google Play Store to get started.